The 2018 Lifetime Member award recipients with Past President Tom Smith-Windsor (centre) left to right, Kweku Dankwa, George Magee, James Rourke and Roger Strasser (missing Len Kelly) Click here to find out more about the SRPC Awards. Join the SRPC today and gain access to our lively RuralMed listserve. Click here to find out more. The Society of Rural Physicians of Canada (SRPC) is the national voice of Canadian rural physicians. Members enjoy a wide range of benefits and join in the movement to strengthen education and advocacy for the practicing rural physician in Canada. The Advancing Rural Family Medicine: Canadian Collaborative Taskforce (Taskforce) is a joint initiative of the College of Family Physicians of Canada (CFPC) and the Society of Rural Physicians of Canada (SRPC). The goal of this joint initiative is to enhance equitable access to health care and improve patient outcomes in rural and remote communities in Canada. 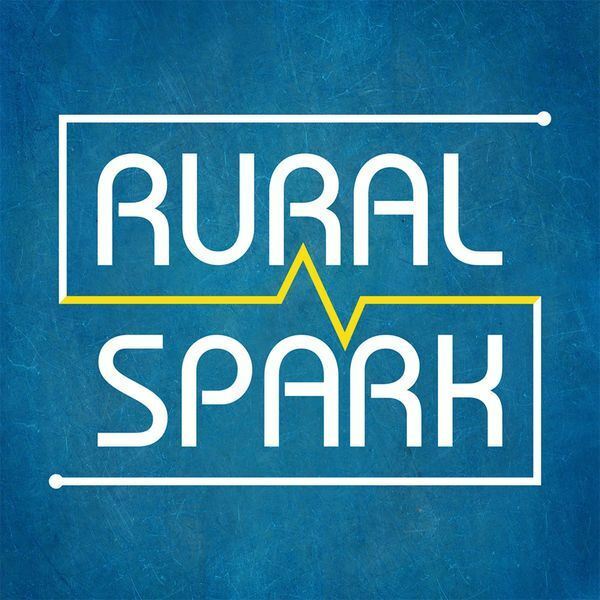 Have a listen to the latest podcast on Rural Spark with guest Dr. Ruth Wilson. Dispatching doctors: Is it time for a rural medical service in Canada? Rural Spark – the podcast that explores and celebrates rural innovation! Join Helen Murphy, rural newspaper editor and entrepreneur, as she invites guests to share fresh thinking, success stories and lessons learned in rural innovation. The Society of Rural Physicians of Canada (SRPC) is the national voice of Canadian rural physicians. Founded in 1992, the SRPC’s mission is to provide leadership for rural physicians and to promote sustainable conditions and equitable health care for rural communities. The CJRM is a peer-reviewed quarterly publication that provides practical clinical information to rural practitioners. It promotes research into rural health issues and provides a forum to influence rural health policy. To subscribe to RuralMed, MedRurale or Student RuralMed you must be a member. June 06, 2018 - The SRPC released the following joint statement with the CFPC and OCFP today. June 12, 2018 - CAEP issued a press release and a statement expressing concern about the CPSO Policy "Expectations Physicians not Certified in Emergency Medicine Intending to Include Emergency Medicine as a Part of their Rural Practice Changing Scope of Practice Process." The SRPC supports this statement and looks forward to continued collaboration with CAEP to ensure that rural Canadians receive optimal emergency care. The Society of Rural Physicians of Canada is excited renew its partnership with Boondoc Technologies to deliver a customized clinical Community on The Rounds. Each month, over 5,000 Canadian physicians login to The Rounds to access new information, clinical content, and take part in expert-led clinical discussions. The Rounds platform supports physicians and their associations by improving connectivity, association collaboration and providing a secure portal for information sharing. The Rounds is a professional clinical network - developed in Halifax, Nova Scotia. We are organizing a rural research poster session at the Society of Rural Physicians of Canada’s Rural and Remote Medicine Course.